Savannah Georgia is an awesome place to have a dog. With numerous parks, a dog friendly downtown, and the beach just a few miles away there’s always something to do with your dog. Unfortunately lack of socialization or training can keep a lot of these opportunities from happening. 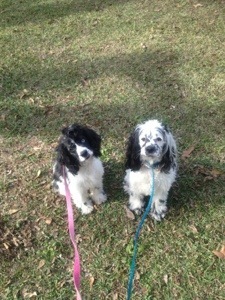 With the proper dog training you and your dog could enjoy everything savannah has to offer. When you’re out in public with your dog try to encourage them to stay focused on you. We see it way to often owners allowing their dogs to investigate everything they come across. This just adds to the lack of focus and hurts training efforts. With our dog training headquarters just outside of savannah georgia we would be glad to do a consult and set up a training plan to show you how to bring out your dogs full potential.